Under the provisions of the CTBT, the treaty cannot enter into force without the participation of the last of the eight key countries. “We are working hard day-in and day-out to make the treaty into law,” Lassina Zerbo, executive secretary of the Preparatory Commission for the Comprehensive Nuclear-Test-Ban Treaty Organisation (CTBTO), told reporters Wednesday. He urged non-signatories to understand that ratification would enhance not only international security, but their own national security as well. Zerbo said the proposed group, comprising former prime ministers and other highly regarded figures from both states parties and non-signatory states, will be launched during the eighth Conference on Facilitating the Entry into Force of the Comprehensive Nuclear-Test-Ban Treaty. The conference is scheduled to take place in New York on Sep. 27. Providing an update on the treaty’s current status, Zerbo said 183 countries had signed, of which 159 had already ratified it. But in accordance with its Article XIV, the treaty will enter into force after all 44 states, including the missing eight, listed in its Annex 2 have ratified it. With the General Assembly belatedly commemorating the annual International Day Against Nuclear Tests Thursday, Secretary-General Ban Ki-moon lamented the fact that the CTBT has still not entered into force, even though 20 years have passed since the Conference on Disarmament began negotiations on the treaty. The International Day Against Nuclear Tests was commemorated worldwide on Aug. 29 but the General Assembly meeting took place Thursday. In a message to the Assembly, Ban said with the adoption of the Partial Test Ban Treaty 50 years ago, the international community completed its first step towards ending nuclear-weapon-test explosions for all time. “This objective remains a serious matter of unfinished business on the disarmament agenda,” he said. Urging all states to sign and ratify CTBT without further delay, Ban singled out the eight holdouts as having a special responsibility. John Loretz, programme director at International Physicians for the Prevention of Nuclear War, told IPS the moratorium has been honoured by most of the nuclear-weapon states since the 1990s. The exceptions, he said, have been India and Pakistan, both of whom tested nuclear weapons in 1998, but have not done so since then, and North Korea, which has conducted three very small tests since 2006. When Pyongyang conducted its third test last February, the 15-member U.N. Security Council condemned the test as “a grave violation” of its previous resolutions and described North Korea as a country which is “a clear threat to international peace and security”. 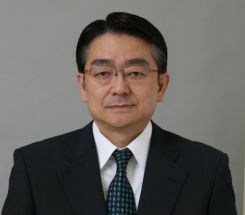 Hirotsugu Terasaki, executive director of the Office of Peace Affairs of the Tokyo-based Soka Gakkai International (SGI), which has long campaigned for the abolition of all nuclear weapons, told IPS he would like to pay special attention to the efforts of the Preparatory Commission for the CTBTO which has played an important role in preventing and prohibiting nuclear test explosions. Following their nuclear tests in 1998, both India and Pakistan announced their decision to extend the moratorium of nuclear testing. In this sense, he pointed out, the CTBT has had a major positive impact on the prevention of nuclear testing. “The international community sees the CTBT as a positive step,” Terasaki added. Asked what remains to be done, Terasaki told IPS the key to bringing the CTBT into force is its ratification by the U.S. and China. The United States revealed that Z machine plutonium trials were conducted between April and June this year at Sandia National Laboratories in New Mexico to assess the working order of the U.S. nuclear arsenal. Despite this, President Barack Obama’s June address in Berlin renewed his commitment to U.S. ratification of the CTBT. “This statement is important and welcomed but will require serious follow-through to win the support of the U.S. Senate,” he added. The Obama administration will need the strong support of the international community. And the role of civil society is indispensable in putting pressure on the U.S. policy-makers to deliver on their commitments, Terasaki said. Also, on Aug. 7, he said, Zerbo met with Chinese Foreign Minister Wang Yi during his trip to China. Wang stressed China’s continued commitment to the CTBT and reconfirmed the importance of the early ratification of CTBT. Zerbo stated that there is a strong case for China to demonstrate leadership and pave the way for the remaining eight countries to ratify the CTBT.